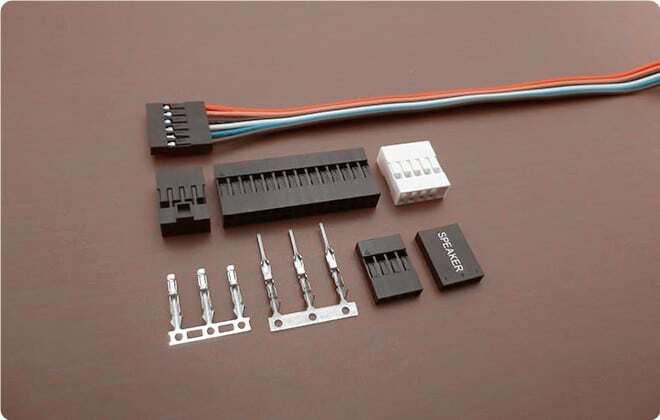 A wide variety of wire-to-board connector solutions that fit applications requiring like Molex KK 254 connector and Molex SL connector. You can require wire harness or custom cable assemblies too. Scondar’s line of 2.54mm pitch connectors are durably made for high vibration environments, with a slightly taller header that is fully shrouded (can be unshrouded depending on electronic requirements), high-pressure housings and application of TPA enhancements. 2.54mm pitch connectors are more ruggedized and robust than other connectors with lower pitch values, but still maintains its properties for low-profile applications for signal and power transmission. Scondar offers a wide variety of 2.54mm pitch connectors for wire-to-board solutions that fit the specs of branded and well-known electronic connectors such as Molex KK 254 connector, Amp, Dupont, and Molex SL connector. Customers may also be guided on wire harness and custom cable assemblies solutions too. 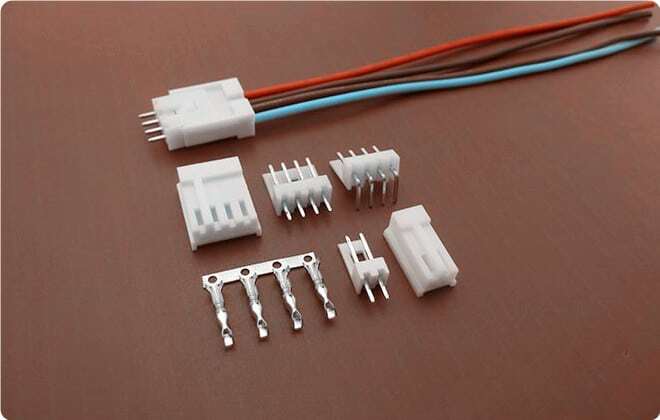 KK 2.54mm Pitch is Molex’s tough electronic connector for PCB wire to board applications, with vertical headers and with a straight friction lock ensuring secure mating and retention when mated, making them suitable for harsh environments with a lot of movements. Housings are made from red UL 94V-0, which holds a well-balanced property of high strength, high rigidity, high toughness, abrasion resistance and good surface, making it the best choice for automotive and electrical/electronic industries. 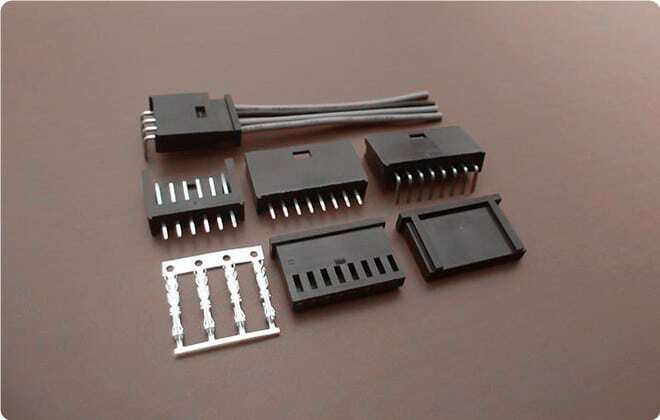 KK 2.54 series is compatible with Cross Molex 2510 Connector Series. Furthermore, the connector delivers a good 3.0A AC/DC current and is available in 2 through 20 positions, accepting a range of 22 AWG to 28 AWG. It has a polarized mating feature that prevents any sort of mis-mating of harness to header. The Molex SL is compatible with C-Grid and KK products, making it a versatile solution to meet a wide range of design needs. 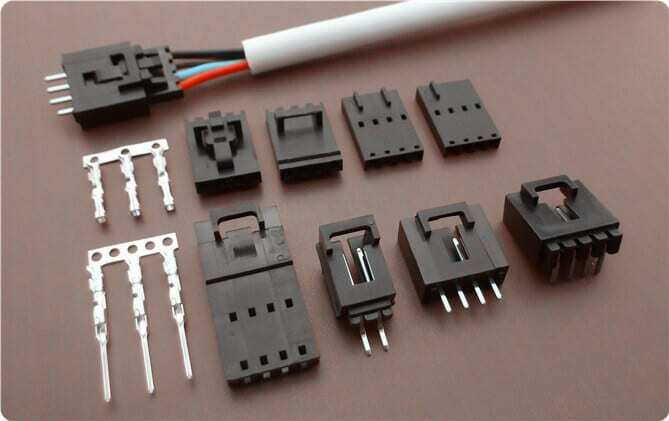 This low-profile connector with polarized design and crimp-style lock is rated at 2.5A AC/DC, and can accomodate 22-26 AWG. 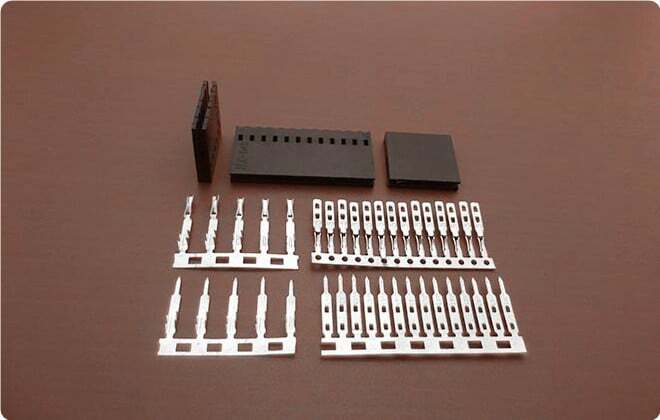 The contacts are tin-plated phosphor bronze which can be of have dual row achieving multi-contact (up to 40 contacts), with a 30% higher density to sustain mechanical stress in the mounting area. 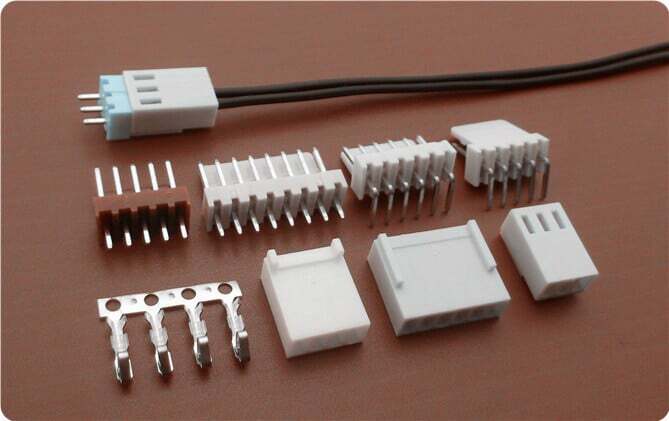 AMP 2.54 Pitch connector is applicable for IDC receptacle mass termination of wires in a wide variety of applications. These connectors are loaded with dual beam cavities for IDC contacts that eliminate the need for stripping the wire. Designed to be piled in stacks, these have molded housing ribs preventing reverse mating and are completely polarized. Its lubricated contacts are part of its protection against corrosion. With a variety of the number of contacts to choose from (2 through 32 positions), delivering 2.5 A per contact for AWG #28 to #30, these 2.54 AMP connectors are optimal for mass termination. It is widely used in the automotive industry for chassis systems, driver information, security systems and body systems. They are further used in the electronic industries for desktop PC’s, notebooks and servers as a valuable electronic component. TE’s AMP 280358 is a two-way receptacle housing for 2.54mm pitch connectors made of thermoplastic with copper allow contact base. Features for this housing include a friction latch which snaps snuggly with its mated component and also a housing material which is UL94V-1. TE’s AMP 171822 is a 2.54mm pitch, single row/dual row, EI series housing for use with 170262 & 170263 contacts. It is made of thermoplastic with copper allowing contact base. A locking protrusion is placed on the center of the housing allowing ease of maneuver of the connector with the housing and easy one-step assembly. It is specially made for 2.54mm pitch connectors with current rating of 3.0A, operating at 250 VAC, 350 VDC voltage. Dupont 2.54 mm Pitch connector is a low profile connector delivering 3.0A current for WG #22 to #28, available in 1 to 40 2*1 to 2*40 positions suitable for either power transmission systems or chassis wiring. Scondar offers a crimp style lock and a configuration which prevents users from inverted insertion. Dupont 2.54 connector is has a flexible terminal strip and board stackers for stacking. It is available as either with a shrouded or unshrouded header, with configurations for through-hole, SMT or mixed technology and press fit. It is also available for either vertical, perpendicular or coplanar mating and offered in a wide variety of standard options such as polarization, locking clips and alignment pins.